Slodowy Remixed at Copenhagen Maker 2017 ! 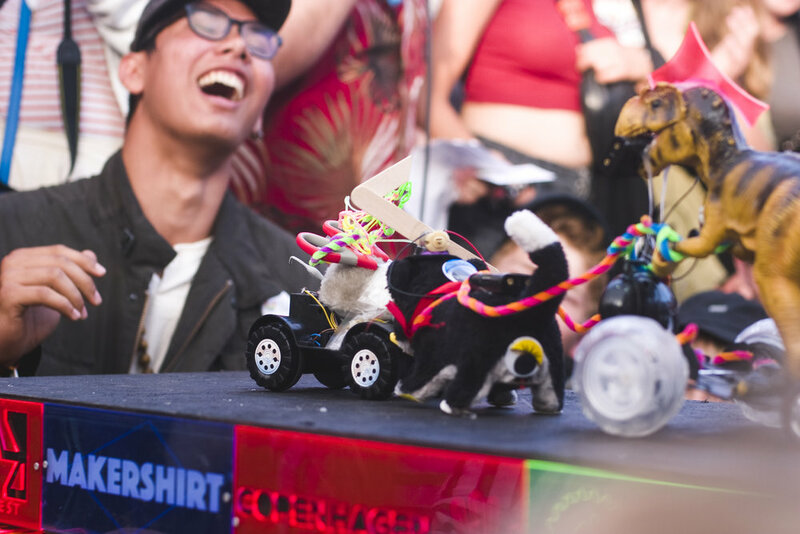 A new collaborative project taking inspiration from cult Polish inventor Adam Słodowy will be premiered at this year’s Copenhagen Maker! Słodowy Remixed will take a critical look at Adam Słodowy’s legacy as well as serve to refresh it for younger generations. Adam Słodowy is a legendary Polish inventor, who strove to popularise the ‘do it yourself’ approach in Poland. He hosted the well-known TV programme Zrób to Sam (editor’s translation: Do It Yourself) and published numerous books on DIY and the automotive industry. The project will question the new meanings and consequences of his DIY approach in the face of political and economic transformations. The collaboration involves a short retrospective of Słodowy’s work. Approximately twenty of his most interesting projects are going to be recreated, his written works and fragments of the TV programmes he hosted are also going to be shown. The second part is an artistic project selected through an open call: a critical reinterpretation of Słodowy’s work by means of modern media and technology. The call will be addressed to various groups – visual artists, designers, DIY hobbyists and makers. The projects can be films, objects, interventions or websites. The sole restriction when it comes to the form of the projects has to do with practical issues stemming from the limited possibilities of presenting them in the physical space in Copenhagen. The event is curated by visual artist Janek Simon and organized by the Adam Mickiewicz Institute, under its flagship brand . Read more about Slodowy Remixed here. We are proud to announce that we're co-hosting Fab City Global Summit 2017. Fab City is a global cooperation to develop locally productive and globally combined cities. "So far almost 20 cities and regions around the world have become "Fab Cities", such as Barcelona, Paris, Amsterdam, Boston, Detroit and Shenzhen. 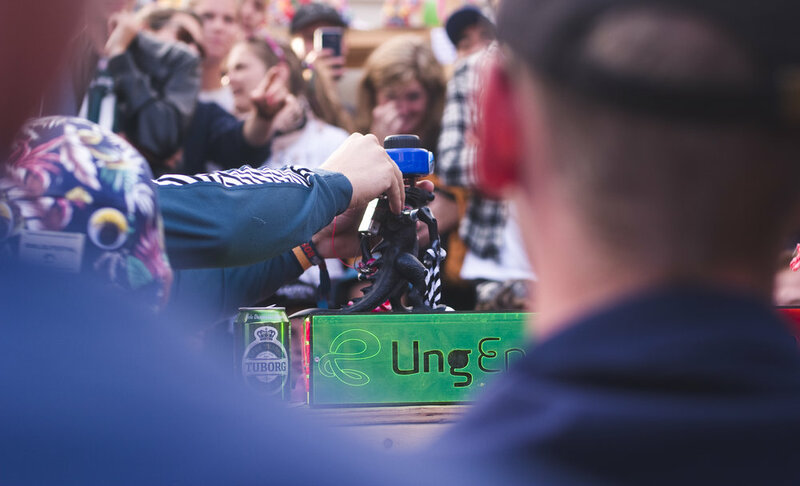 The project involves an international partner consortium, among others involving Waag Society in Amsterdam, RCA in London, OuiShare in Paris, and industry players such as Nike and IKEA." Fab City Global Summit takes place September 7-8 in Copenhagen. Read more about the event here. MAKE THE WORLD A HAPPIER PLACE ! We've got visitors from South Korea: the two makers Chai and EunChan ("Chan") Park are visiting Copenhagen to document and write about Danish maker culture. Chai is a master student at the University of Oulu (FI) where she studies learning through play, collaborative learning and creativity. Chan is an S/W engineer working with robotics, digital media, and as a "maker of happy things". At the MeetUp they give insights on Korean maker culture, their experiences as participating makers at Maker Faire Seoul, Trondheim and Newcastle, and showcase Chan's different robots. 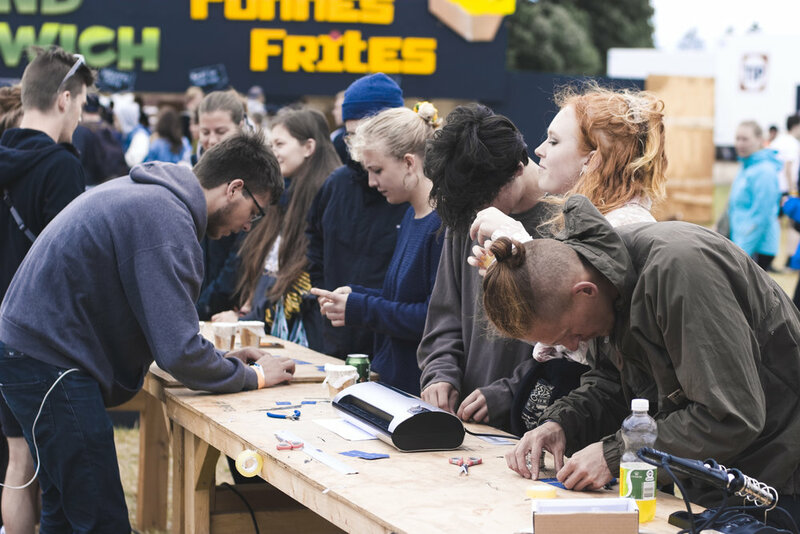 Copenhagen Maker visited Roskilde Festival this year for the 4th year in a row and created a Makerspace at City Center East. 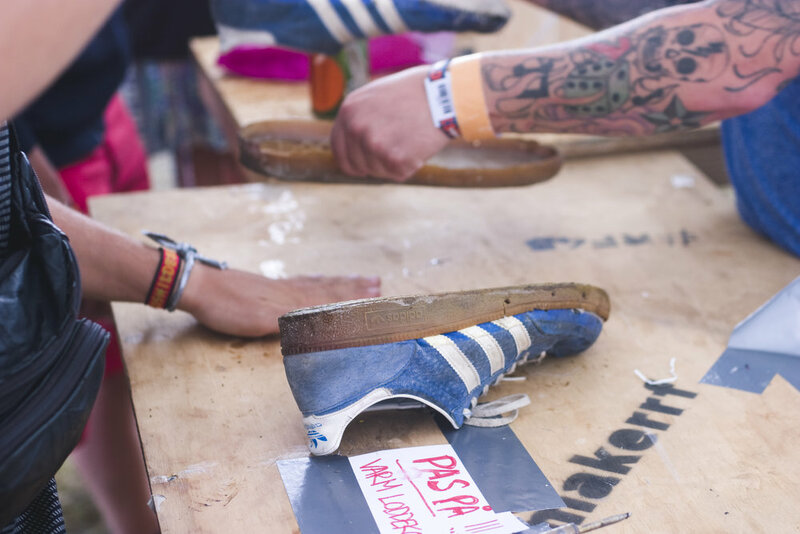 Here festival goers could make their own festival gear, feel the maker-spirit and explore new technology. 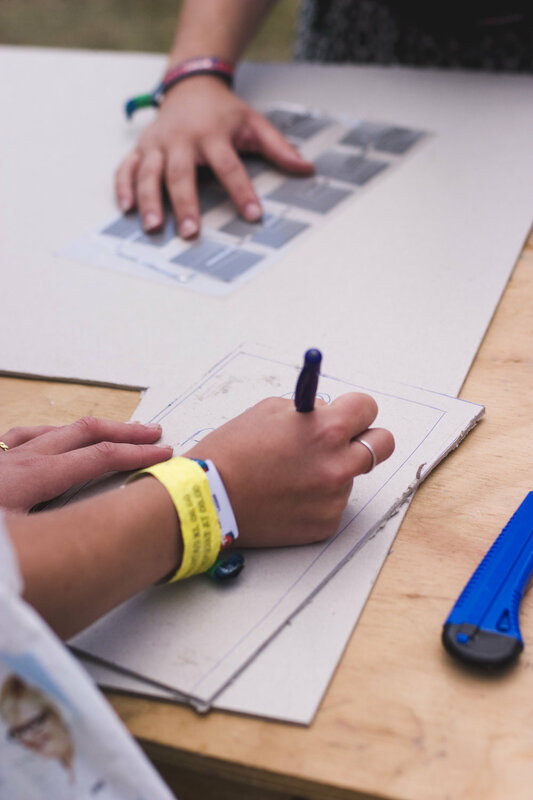 The Makerspace was filled with people, creative vibes, unity and curiosity. Thank you for a great experience to all who participated! Society 4.0 rykker ind på festivalpladsen når vi tager et kig på fremtidens samfund og det stigende behov for at gentænke, hvordan vi arbejder, forbruger og lever i den digitale og teknologiske tidsalder. Makerspacet vil i år være et laboratorium for cirkulær økonomi, der inviterer festivalgæsterne til at reparere, genanvende og bygge lokalt ved hjælp af ny teknologi og ressourcerne fra campen, fx genanvende campens plastaffald med KEA Material Recycling Lab, reparere ødelagt udstyr, bygge festivalmøbler og meget, meget mere. Herudover har vi sammensat et fedt talk-program: hør fx hvad f.eks. Nikolaj Sonne tænker om overvågning og hvad Mariano Alesandro fra INDEX mener om kønsdistribueringen i tek-industrien. Eller bidrag til at skabe Roskilde Festivals stemme 2017 ved at indtale din stemme i MultiVocals stemmesyntese. Du kan også lytte til musik, lavet af orme og algoritmer! 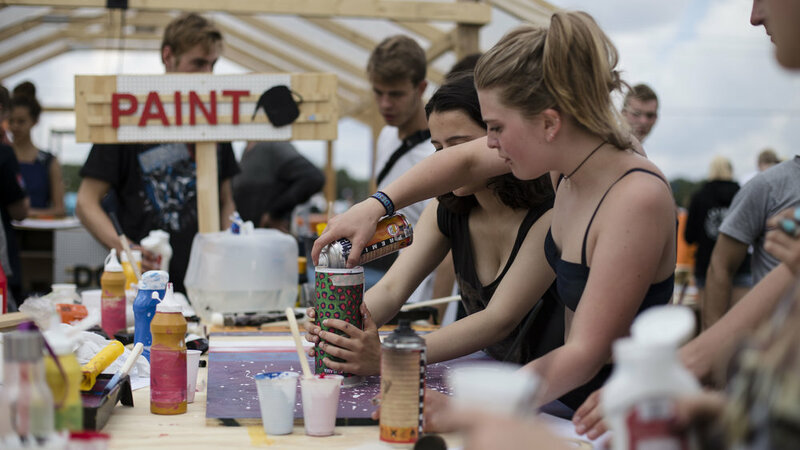 For the fifth year in a wok Maker will take on Roskilde Festival when we build our Makerspace at City Center East and add some DIY to the orange feeling. Maker is organizing the Makerspace and its activities with KEA. 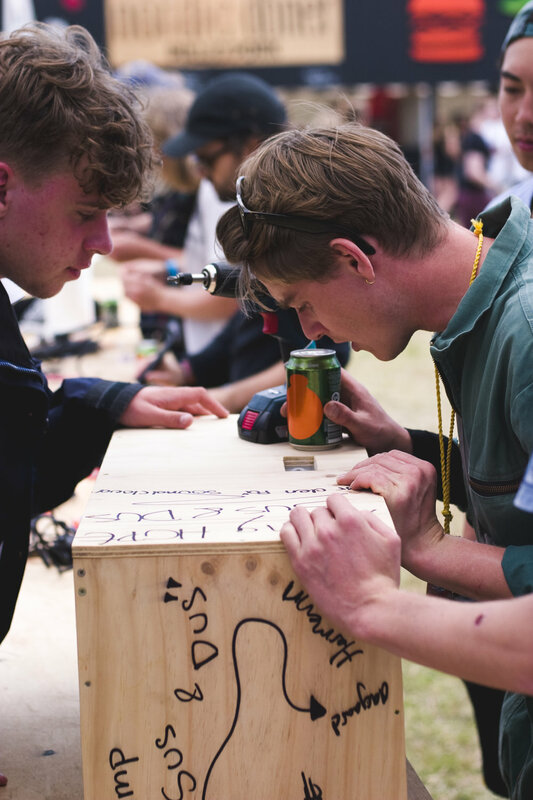 Society 4.0 will move in at the festival grounds when we take a closer look at future society and the increasing need to rethink how we work, consume, and live ind the digital and technological age. 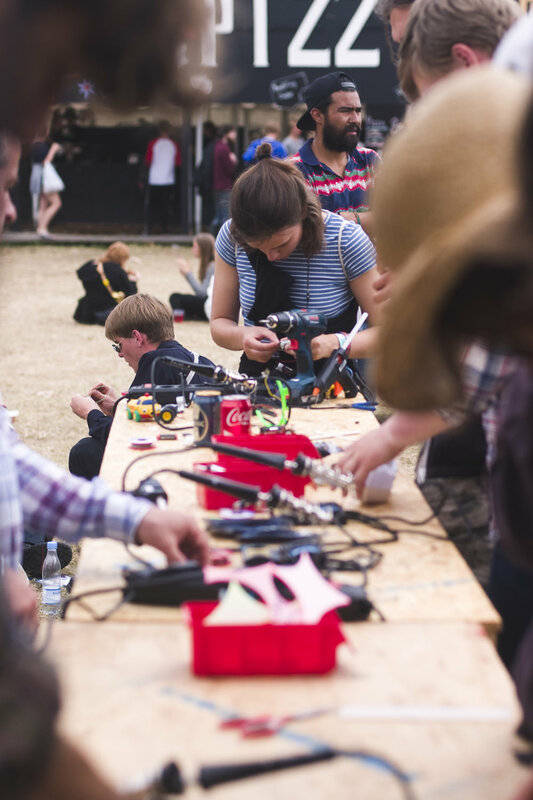 This year the Makerspace will be a laboratory for circular economy where the festival goers can repair, reuse and build loccaly using new fab technology and ressources from the camping grounds: the can reuse their plastic waste in KEA's Material Recycling Lab, fix their broken festival gear in our Repair Café and much, much more. To top that off we have put together an awesome talk program: hear what Nikolaj Sonne thinks about online surveillance and what Mariano Alesandro from INDEX feels about the gender distribution in the tech industry. Or contribute to MultiVocals voice synthesis and listen to music created by worms and algorithms! 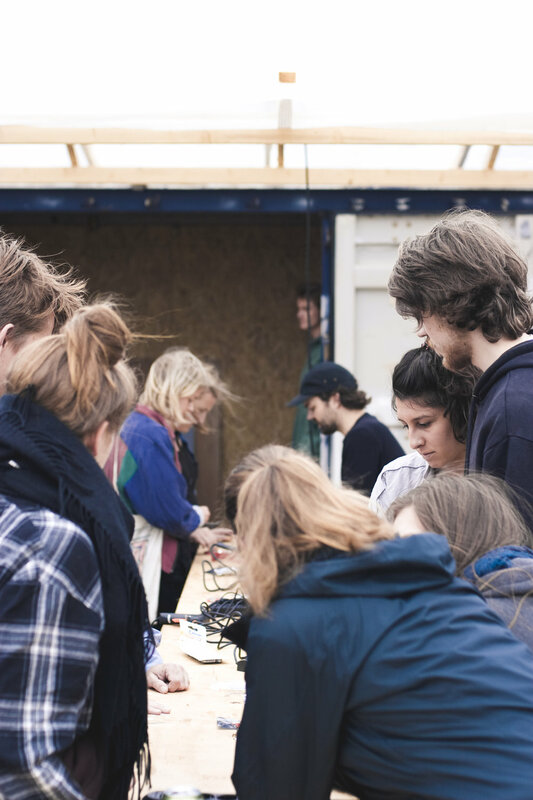 Once again the MAKERSPACE will invade Roskilde Festival !! This year MAKERSPACE is teaming up with the innovative school KEA (Copehagen School of Design and Technology). They are bringing their talented students to demonstrate how plastic waste materials and recycle processes can be applied in a sustainable way. 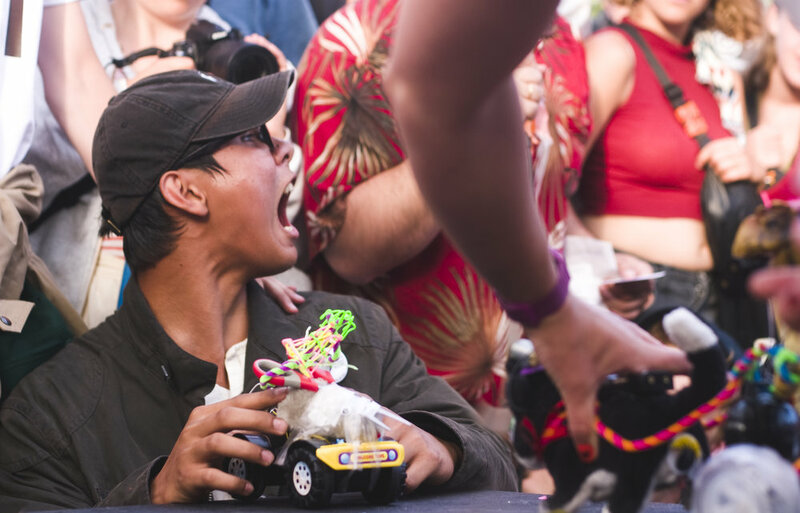 This year you can sew LED-light into your shirt to pimp up your dance or shred plastic and make a tent peg with KEA, make your own festival furniture, a Camp Blaster, print on t-shirts, make a crappy robot and much more. Drop by MAKER to hear what e.g. Nikolaj Sonne from ‘So Ein Ding’ thinks about surveillance, and what Mariano Alesandro from INDEX thinks about the gender distribution in the tech industry. 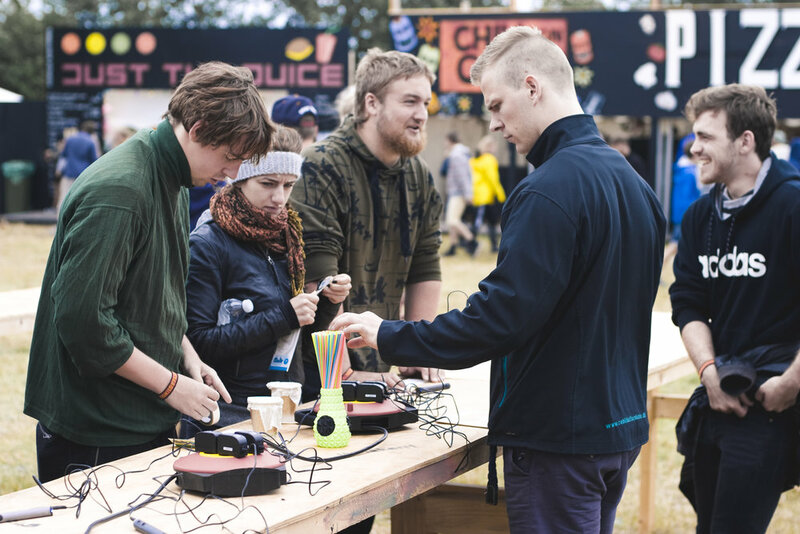 Or contribute to creating the voice of #RF17, by adding your voice to the voice synthesizer or listen to the music created by worms! 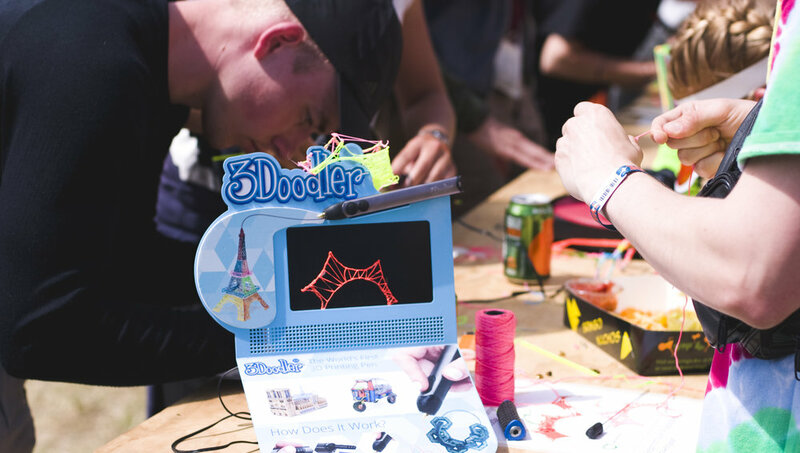 Of course you can also play with technologies such as laser-cutters, 3D printers, VR-glasses, soldering irons, LED-lights and much more. In June, Copenhagen Maker celebrated European Maker Week in collaboration with different makers and spaces in Copenhagen. It was an exciting week, where we learned more about DIY, start ups, technology and the Danish Maker-culture. We celebrated the end of a great week with a kick-off event for Copenhagen Maker, where makers and the curious met at the new workspace UNDERBROEN. Together we made crappy robots, GMO plants and Joule Thieves. 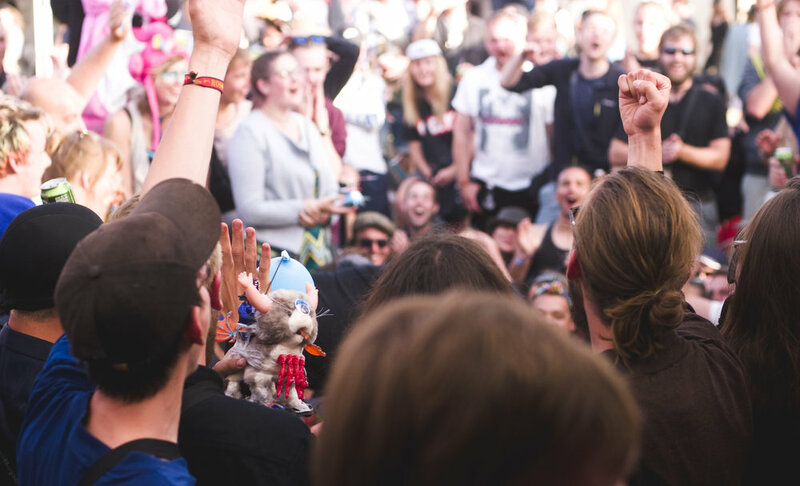 Thanks for celebrating Copenhagen Maker with us!